Glamorgan's bowlers put them into a strong position on the second day of their opening first-class match of the season against Cardiff MCCU. Two wickets each for Will Owen, Jim Allenby, Dean Cosker and John Glover saw the students dismissed for 112. The Welsh county did not enforce the follow on, and by the close of play had extended their lead to 224 runs. 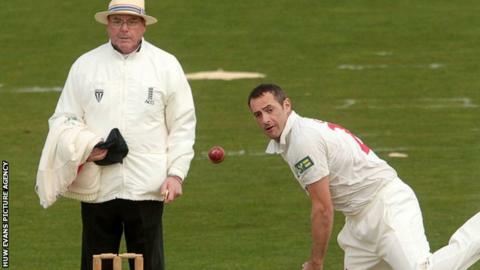 Glamorgan open their LV County Championship Division Two season against Surrey on Sunday.